UPDATED: Fri., Nov. 17, 2017, 11:46 p.m.
Bracketology isn’t just for basketball – ask the teams contending for a spot in the FCS playoffs. By most accounts, 16 spots are already locked up by the following teams: Southern Utah, Weber State, James Madison, Stony Brook, Elon, North Dakota State, South Dakota State, Central Connecticut State, Jacksonville State, Lehigh, San Diego, Wofford, Sam Houston State, Central Arkansas, the winner of the Big South Conference showdown between Kennesaw State and Monmouth, and the Samford-Furman winner. Delaware (7-3) at Villanova (4-6), 10 a.m.
New Hampshire (7-3) at Albany (3-7), 10 a..m.
Western Illinois (6-4) vs Southern Illinois (4-6), 11 a.m.
Montana (7-3) at Montana State (4-6), 11 a.m.
Northern Arizona (7-3) at Southern Utah (8-2), 1:30 p.m.
Northern Iowa (6-4) vs. Indiana State (0-10), 2 p.m.
Obviously, the fewer of these teams who win, the better for Eastern. Illinois State (6-4) vs. North Dakota State (9-1), 10 a.m.
Loser of Monmouth (9-1) vs. Kennesaw State (9-1), 11 a.m.
Loser of Furman (7-3) at Samford (7-3), 12:30 p.m.
Austin Peay (7-4) vs. Eastern Illinois (6-4), 2 p.m.
Eastern Washington (6-4) vs. Portland State (0-10), 3:12 p.m.
McNeese State (8-2) at Lamar (2-8), 5 p.m.
At that point, the committee will weigh records and strength of the remaining teams. That’s when it gets complicated. Southland Conference team McNeese State could be 9-2 but has a rather soft schedule. At the other end of the spectrum, Missouri Valley teams Illinois State and Northern Iowa have earned their 6-4 records against brutal schedules. Another MVC team, South Dakota (see above), may still get in with a loss. 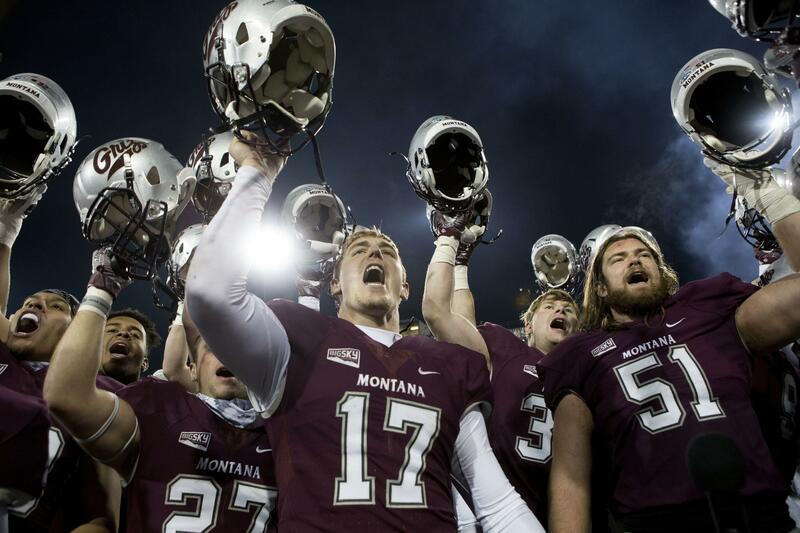 One more consideration: Eastern probably needs Montana or NAU to lose, as it’s unlikely the committee would take five teams from the Big Sky. Published: Nov. 17, 2017, 3:20 p.m. Updated: Nov. 17, 2017, 11:46 p.m.